Delirium Band is a premium party band proud to be the official house band for Buster’s Bistro in historic downtown Sanford. Delirium Band is managed by DollFace Entertainment also located in Sanford. Delirium Band performs at Buster’s Bistro every three weeks and draws a standing only room crowd for most of its performances. Our goal is very simple, we love to throw a party for our friends and fans all night long. Delirium Band has been highly successful in appealing to audiences of all ages. 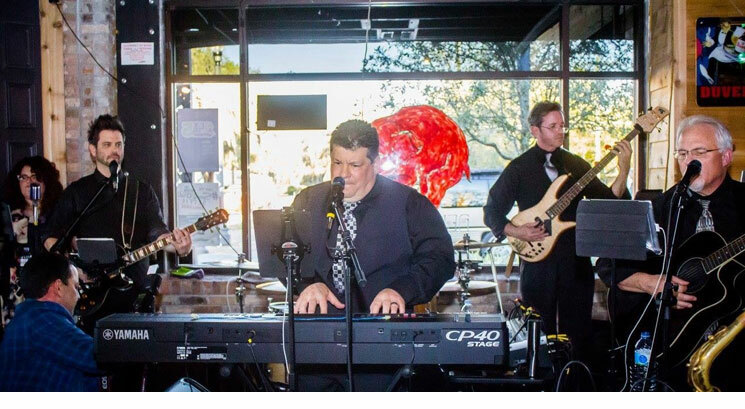 We perform a wide variety of music from the 1950’s to today including rock, pop, and country performed by some of the top musicians in Central Florida. Delirium Band also has four lead singers which ensures variety and entertainment. Many fans and clients have told us time and time again that Delirium is the most entertaining band they have heard.